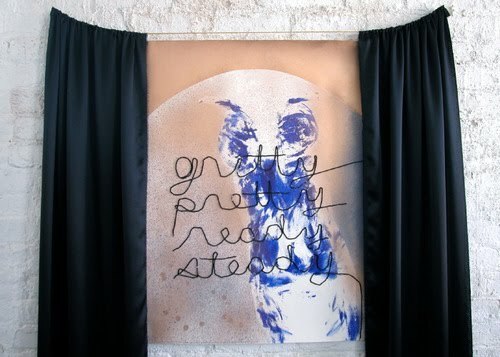 This Saturday newly joined KiptonART artist Beau Rhee's exhibition "Gritty, Pretty, Ready, Steady" opens in New York City. Rhee's show consists of installation work, drawings and photography. Centering on her passion for performance, dance and visual art, she creates a unique oeuvre of 2D media and performance. Central to her work are the ideas of rhythm, the Baroque, and infinity/excess. Her art holds a mysterious beauty that is powerful aesthetically and socially. Exhibition through July 14 at PURE LUCK located at 2 Great Jones Street.